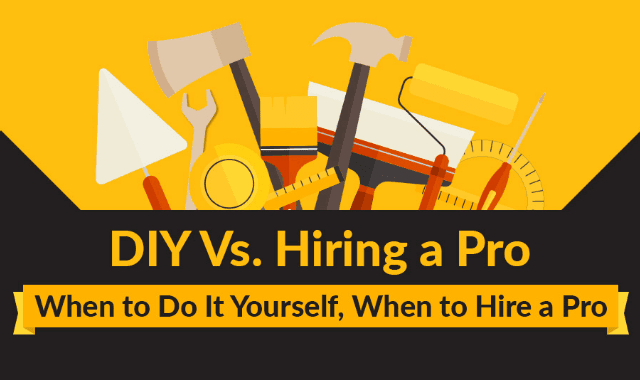 DIY Vs Hiring a Pro: When to Do It Yourself, When to Hire a Pro #Infographic ~ Visualistan '+g+"
When something needs to be fixed at home, it can sometimes be hard to decide if you can tackle it yourself or if you’ll need to get a professional in. This often depends on your skill-set but generally there are some jobs best left to the professionals. You also don’t want to waste money if it’s a job you can do yourself. Find out more in the infographic.